Dead to Me is a podcast about the Grateful Dead in the same way that Friday Night Lights is a show about football. Hosts Casey Rae and Eduardo Nunes explore a profound array of cultural intersections and how the Dead’s legacy ripples through our contemporary reality in fascinating and often unexpected ways. Produced in partnership with Chunky Glasses Media, Dead to Me is lovingly crafted to appeal to Heads and non-Heads alike. Through entertaining interviews and compelling segments—all tied to specific themes—Casey and Ed examine a range of social, cultural, political, spiritual and pharmacological phenomena alongside special guests who offer unique insights into the band and the American experience writ large. Whether you’re a (tie) dyed-in-the-wool Head, or merely Dead-curious, Dead to Me is your venue for captivating conversations about music, culture, and so much more. It’s never too late to get on the bus. Casey Rae is an author, educator, and music business professional based in Washington, DC. His book William S. Burroughs & the Cult of Rock 'n' Roll will be published by University of Texas Press in 2019, followed by Music Copyright in Practice: an Authoritative Guide (Rowman & Littlefield, 2019). As Director of Music Licensing for SiriusXM satellite radio, he oversees the licensing of audio for transmission across 150 channels. Previously, Casey served as the CEO of the Future of Music Coalition, a Washington, DC-based education and advocacy organization for musicians and composers. He is a professor at Georgetown University and Berklee Online, where has authored courses on digital disruption and media policy. Casey regularly speaks on issues such as emerging business models, creators' rights, technology policy and intellectual property at worldwide conferences, universities, and in the media. He has testified before United States Congress and has written hundreds of articles on the impact of technology on the creative community in scholarly journals and other publications. Casey serves on the board of the Alliance for Media Arts and Culture and the MHz Foundation, and is the proud dad to two highly musical daughters. Eduardo has lived in Rio de Janeiro, Evanston, Berkeley, Rio (again), Rockville, Wooster (Ohio), and DC. When he isn’t talking about Robocop, he is usually talking about music with Kevin on ChunkyGlasses or literally herding cats in an alley in Northeast DC. Eduardo works at a healthcare association and his coworkers could really use a break from him because he has been getting really worked up about some regulatory issue that no one else cares about. 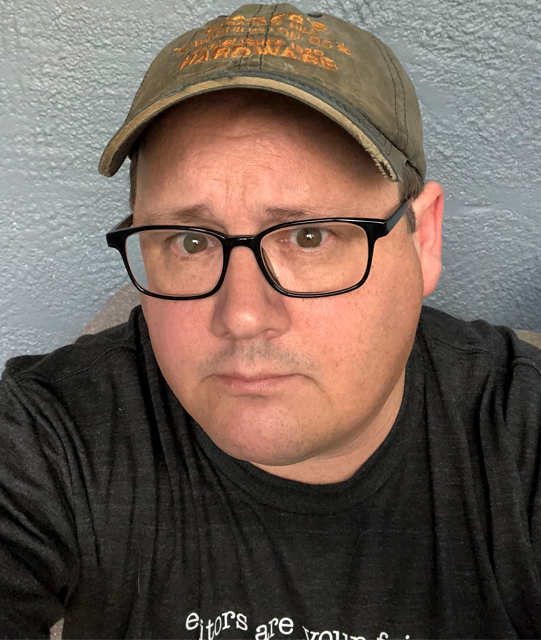 Kevin Hill, besides being the host/producer of almost four hundred episodes of ChunkyGlasses: The Podcast is a music journalist, photographer, programmer, lifelong musician, and cat dad based in Washington, D.C. (for now.) In addition to making show about “music” from his basement, he has spent the past nine years testing the adage of “When the going gets weird, the weird turn pro” by creating a space where aspiring music critics, photographers, and podcast personalities can come and see if they’ve got what it takes. He never saw the Dead. But in a previous life he was in band that had a lot of potential.